I made this card from Stretch Your Imagination cart. I used the Card Frame feature cut at 6.70 and welded spring in the middle and it's cut at 1.81. 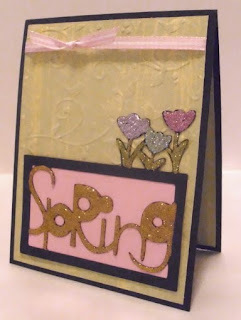 I thought the flowers were just the perfect design to represent the word spring! 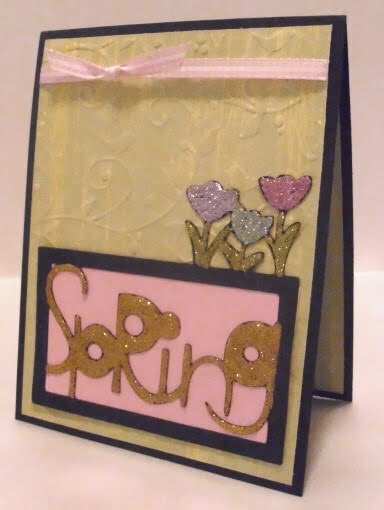 I used Martha Stewart's glitter glue for that extra sparkle. 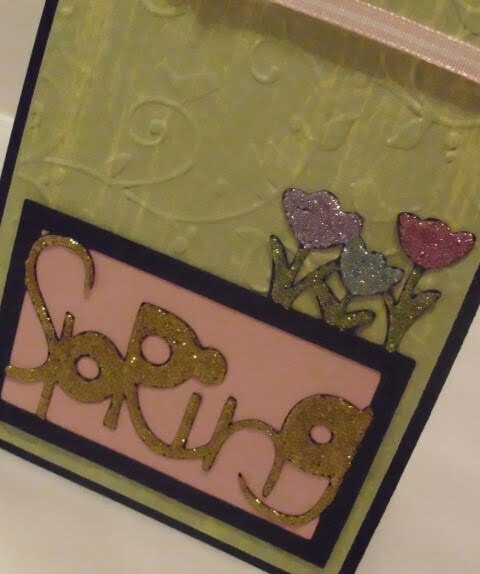 Birds and Swirls embossing for that extra texture. I hope you like my take on these challenges! 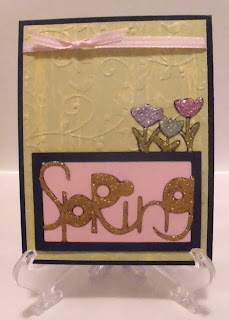 I love this card - sooooo pretty!! !